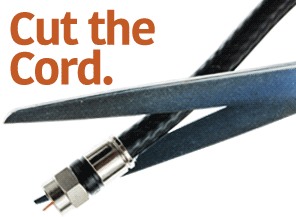 Logitech Type, for when you want to say more with your iPad Air 2. 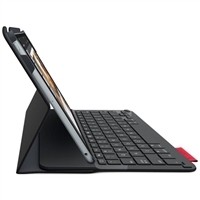 The all-in-one solution features a protective case with integrated keyboard. The integrated, thin and light Bluetooth keyboard with iOS shortcuts make typing familiar, fast and accurate. Auto-wake and auto-sleep ensure your iPad Air 2 is ready anytime you need it. 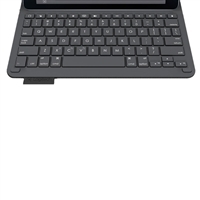 Logitech Type protects the front and back of your iPad Air from accidental bumps, scratches and spills. 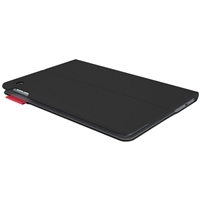 The thin and light keyboard case design provide protection and productivity without added bulk. 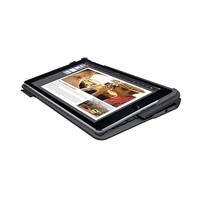 Two viewing angles provide the ideal upright position for typing or lay flat to read and browse in comfort.